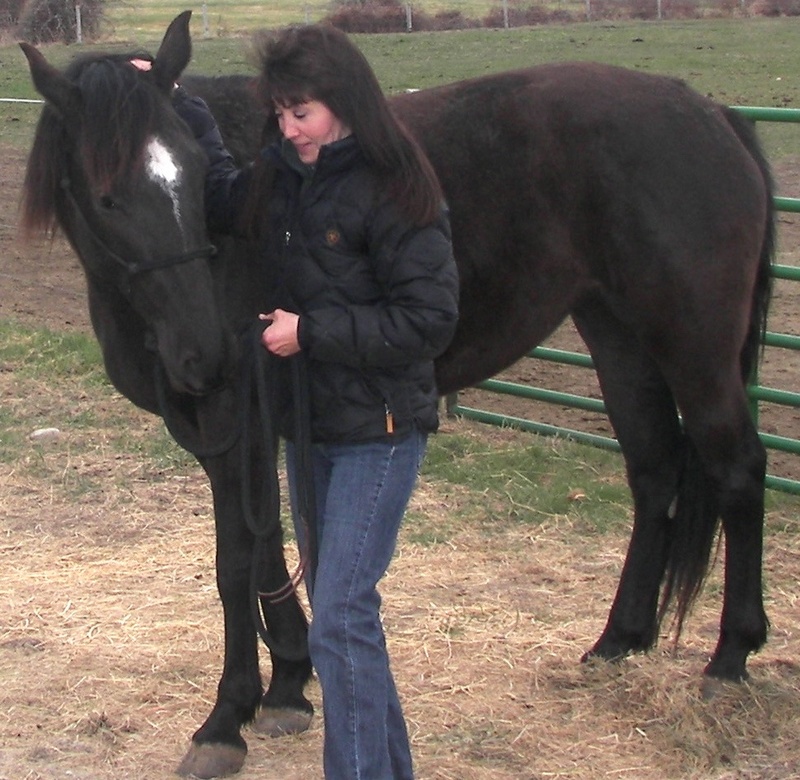 Horse Haven Montana is a 501(c)3 not-for-profit charitable organization. This means that all donations are tax deductible to the full extent of the law. We rely solely on donations and grants as well as valuable volunteers to accomplish our mission — education and understanding to enhance the equine/human bond & to improve the welfare of the horse. If you would like to help support our rescue and adoption efforts, which go toward helping us to care for horses in rescue or in need of care indefinitely, as well as to help us find responsible, experienced, caring and permanent adoptive homes for these horses, and for other equines (mules, ponies, minis), we are always very grateful. At this time we are very much in need of a trailer. A 2-horse slant load bumper pull will enable us to pick up a horse or mule in a rescue or crisis situation quickly, safely and efficiently as well as deliver horses to new adoptive homes, and perhaps most importantly, get a horse to a veterinarian in an emergency, quickly and safely. Any donation of such a trailer would be considered a charitable contribution and we can provide a tax letter to that effect. We are a registered, certified 501c3 not for profit organization recognized as such by the IRS. We request a slant load bumper pull because for us, this would be the safest and most manageable given our abilities, needs, experience, availability of truck and HHMT location. We are located near steep terrain and a 2-horse bumper pull we know we can manage very well. Thank you for your consideration of this request. If you are unable to donate a trailer outright but could offer us a major discount, we could consider this as well. All donations are considered charitable donations. Donations can also come in the form of feed, hay, tack, veterinary services, blankets, rope halters, jolly balls, even gas cards for transport, as well as cash donations that help to cover the cost of medical needs, farrier and hoof care, re-training when needed, horse transport, horse and home assessments, printing and postage. Your support is critical to our efforts and we thank you for your interest, generosity and contributions. We are located in western Montana but have resources and contacts nationwide that assist with transport, assessments, rescue efforts and in other ways. We also welcome equine business sponsors or corporate partners. A business that promotes good horse care and horse products is always welcome to support our efforts and we in exchange are delighted to promote that business or service. If you would like to help in some other way or with something specific and tangible, please take a look at our “Wish List.” These are “wishes” that are vital to our efforts and if you are able to help in any way, we would be very grateful. Thank you! Donations of tack are also always very welcome. With new horses of different sizes and abilities, it is never as you know, one size fits all. Saddles, bridles, bits, reins and blankets, are always much appreciated. Want to help in other ways? Horse Haven Montana is part of Ebay Giving Works and the AmazonSmile charitable giving programs. When you purchase or sell on these sites, a portion of your sale or purchase, can be designated to Horse Haven Montana.